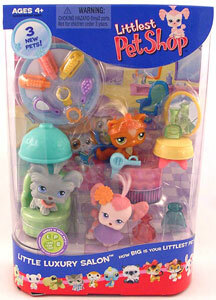 Description Of Item: This fun, 20-piece accessory purse is packed with pet pampering products! It includes three new pets and lots of fun accessories for hours of mix-and-match winter excitement! Pet contains a magnet.